THANK-YOU FOR THE MEMORIES IN RIO! Can't wait to celebrate with you in 2020. SUPPORTING FAMILIES. CELEBRATING ATHLETES. WELCOME TO THE CLUB! 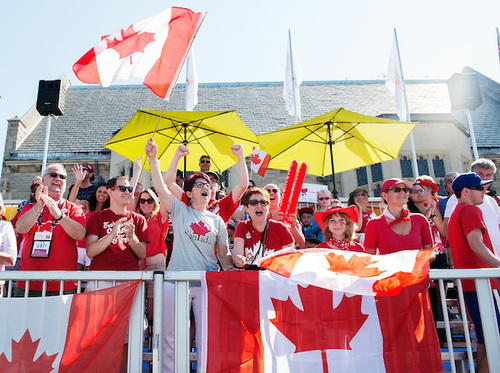 We are very excited to bring our expertise to the Canadian Paralympic community as the Official Family + Friends Travel Partner + Rio 2016 Authorized Ticket Reseller for Canada for the Rio 2016 Paralympic Games. Our entire team is dedicated to supporting you, our CPC VIP’s – Very Important Parents + Partners + Pals. Our VIP packages are exclusive to Canadian family & friends and our mission is to help make your travel experience gold-medal worthy. From the moment you land, until the time you return home, we'll take care of everything. We’re working closely with the Canadian Paralympic Committee to make sure you'll receive a fully supported experience of a lifetime everytime you travel with us! We’re here to help you throughout the entire process, so don’t hesitate to reach out to us – we’re here for you! NOTE | Our goal is to provide you with a seamless service for every aspect of your 2016 Paralympic Games experience in Rio next summer. 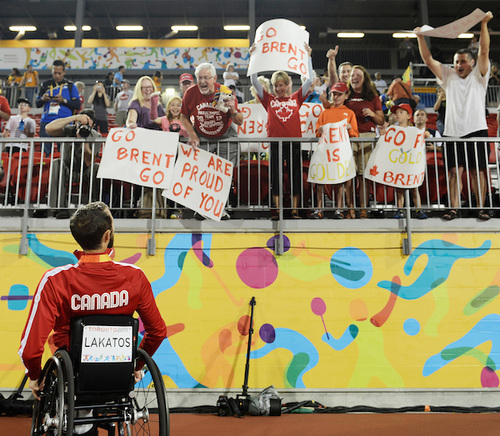 As the Rio 2016 Paralympic Games Authorised Ticket Reseller for Canada, we can assist you with your ticketing needs. Through our partnership with Stage and Screen, we can also help coordinate flights for your travel experiences. CLICK HERE for more information on FLIGHTS. We've hand selected the Sheraton Barra as our host hotel for the 2016 Paralympic Games. 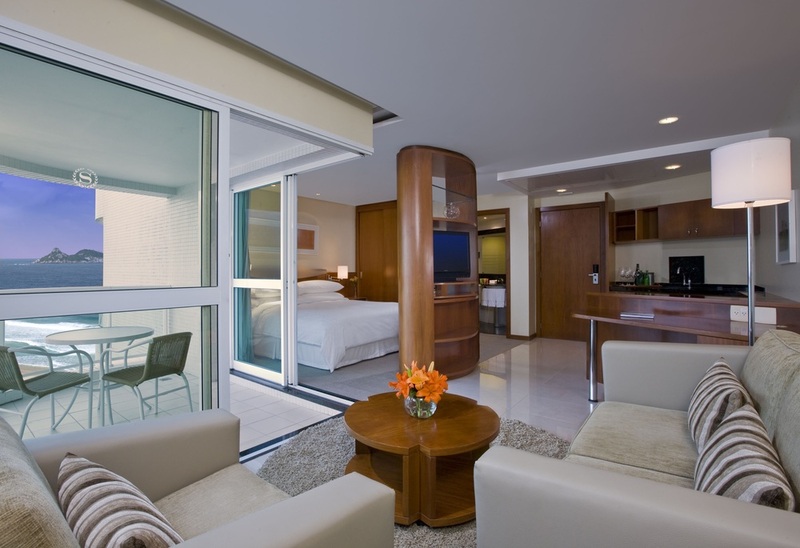 The Sheraton Barra offers both standard luxury and seasonal apartment style hotel rooms with an oasis of calm, surrounded by the excitement and activity of one of Rio’s fastest growing areas. Plus, the Sheraton Barra's oceanfront location gives you easy access to the most important points of the city in a warm atmosphere. 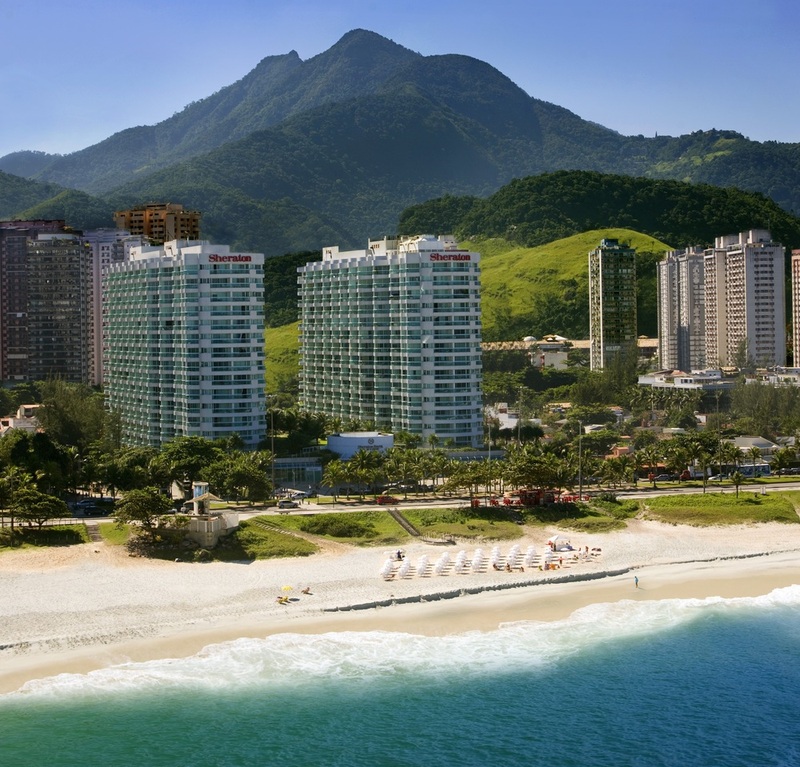 The Sheraton Barra Hotel will also be the head quarters of Canada Paralympic House where you can mix, mingle, and celebrate each day with fellow Canadian families over a Caipirinhas or Batidas. 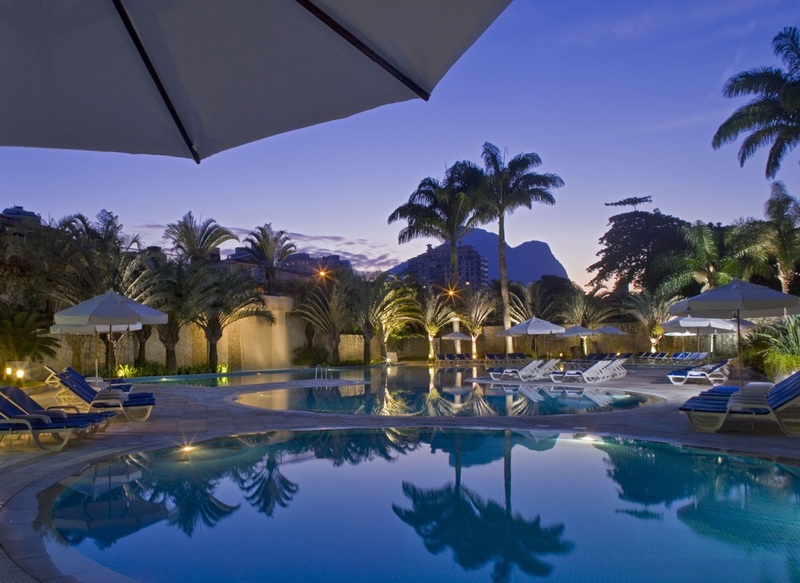 The Royalty Barra Hotel is located adjacent to the beach in the most sophisticated and beautiful part of the Barra Da Tijuca region. This modern and pleasant property has all the amenities to make your 2016 Paralympic Games experiences special and unforgettable! Hotel rooms either have a stunning view of the ocean or the world famous Sugar Loaf Mountains, and come equipped with telephone & voicemail, cable TV, an in-room safe, internet access. Plus, just steps from the hotel's front door are some of Barra’s best restaurants, night life and shopping opportunities. 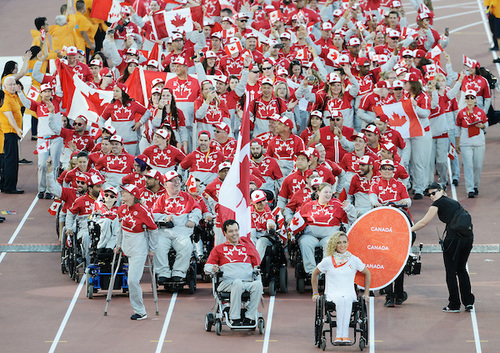 Celebration Club is proud to partner with the Canadian Paralympic Committee (CPC) as the Rio 2016 Paralympic Games Authorised Ticket Reseller for Canada. As an authorised ticket reseller, we look forward to providing you with a seamless experience for all of your Rio 2016 Paralympic Games travel needs. We strongly encourage families attending the games this year to contact us, so that we can provide you with the most current updates and competition dates. Purchased tickets will be available for pick up when you arrive in Rio at the Canadian Paralympic House. Celebration Club & CPC have secured a variety of in-demand tickets. Plus, we can make any ticket request on your behalf. As the only company in Canada to receive Paralympic tickets directly from the Rio 2016 Organising Committee for the Olympic and Paralympic Games, you can feel secure when purchasing your tickets with us. We will be providing continuous information & support to all of the Canadian Paralympic Families & Friends and National Sport Organizations (NSO) – so make sure you watch your inbox for all of that great information! We truly hope to help make your Rio 2016 experience unforgettable. Contact us today to book your Rio 2016 Paralympic Games VIP experience, to request Rio 2016 Paralympic Games tickets, or simply for more information – we're here for you! START PLANNING YOUR CELEBRATION CLUB VIP EXPERIENCE TODAY! To start planning your Celebration Club VIP Paralympic Experience simply click on the button below and fill in your information. Within 48-hrs your designated VIP Experience Coordinator will contact you to start creating your profile. After successfully hosting the 2007 Pan American Games, Rio was selected as the host city of the 2016 Summer Olympic and Paralympic Games. The IOC had great reason to choose Rio as the first Latin American city to host the largest sporting event in the world! Rio is a dynamic, majestic and unique city. While many state-of-the art stadiums exist, construction for additional world-class facilities and the Olympic Village are well underway. A high-performance train will connect the venue centers clustered in Copacabana, Maracanã, Deodoro, and Barra – home to the Celebration Club host hotels. Throughout the coming months you will receive ongoing newsletters with updates on the Celebration Club VIP program, what’s happening in Rio, as well additional enhancements that we are securing exclusively for our VIP's.